Qusai Shambour, Salam Fraihat, Mouath Hourani , The Implementation of Mobile Technologies in Higher Education: A Mobile Application for University Course Advising. , Journal of Internet Technology, 2017, In Press. Salam Fraihat, Qusai Shambour, Mou'ath Hourani , A Semantic Multi-Agent Architecture for Multilingual Machine Translation , 14/7, 2016, 624-635. Salam Fraihat , ONTOLOGY-CONCEPTS WEIGHTING FOR ENHANCED SEMANTIC CLASSIFICATION OF DOCUMENTS , 519-531, 2016, 12/2. 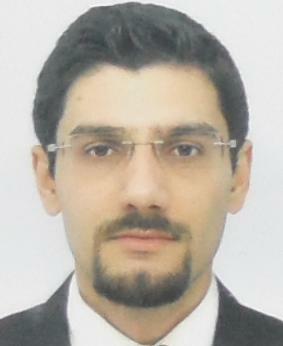 Qusai Shambour, Mou’ath Hourani and Salam Fraihat , An Item-based Multi-Criteria Collaborative Filtering Algorithm for Personalized Recommender Systems , International Journal of Advanced Computer Science and Applications, 2016, 274-279 7/8. Salam Fraihat, Qusai Shambour , A Framework of Semantic Recommender System for e-Learning , Journal of Software, 2015, 10. Fraihat Salam, Herve Glotin , Extraction rapide d’information de document audio par traitement morphologique de la parole , HERMES , 2010, p29-48.